Ships Today if ordered within 0 hrs and 56 min. 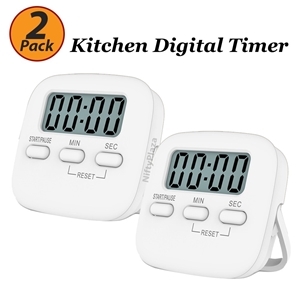 2x Magnetic LCD Digital Kitchen Timer. Come with magnetic.Simple to operate. Ideal for cooking, examination, sun bathing etc. Big screen to show the correct time in minutes and seconds. 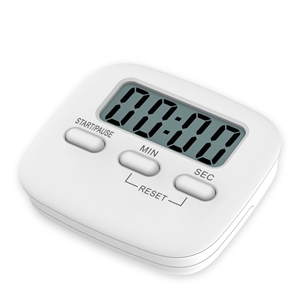 LCD home kitchen chef mini count-down / count-up digital timer. 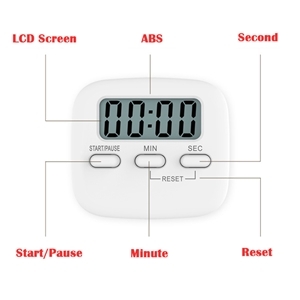 3 button includes START / STOP button, MIN button and SEC button. 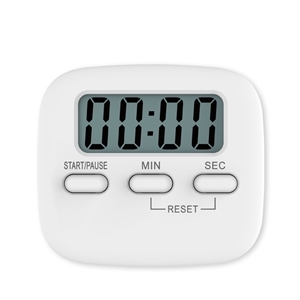 Simple Operation: no complicated learning steps, press 'MIN' 'SEC' button individually to set and press 'MIN' 'SEC' button simultaneously to clear. NiftyPlaza.com is an online shopping destination where you can find your favorite products at very cheap price. We respect our customers who love to shop from NiftyPlaza.com and for that reason we at NiftyPlaza.com never compromise on quality and satisfaction.